Welcome to this week’s Sunday Game Soundtrack. 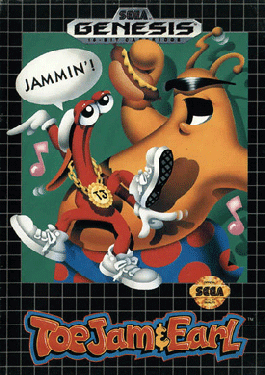 Today, we’ll totally funk out to John Baker’s ToeJam and Earl for Sega MegaDrive/Genesis. Released in 1992, this game sports a pretty awesome funk/hip-hop soundtrack. Composer John Baker set out to design the BGM so that it complimented the character designs and the game’s absurd humor. Baker cites Herbie Hancock and more specifically The Headhunters as his main influence. I used to play this game a lot with my little brother, who would often get hopelessly lost. I’d be waiting by the elevators and he’d be still in the first level, drowning or sitting in the hot tub at the bonus area. I guess I can look back at that now and call it “trolling”, though back then, I just called it being a “butthead”…. or perhaps more appropriate than either of those- being a “poindexter”. 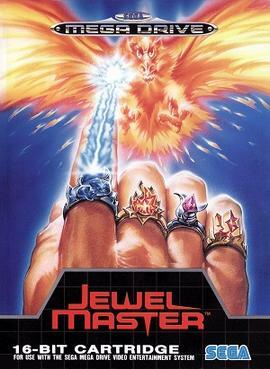 Interestingly enough, the game itself was designed to be a two-player game first and foremost. It makes sense, frankly, as you can scout areas much quicker with two people. The game with one-player can be backbreakingly difficult and time consuming- though still fun. Here’s the soundtrack, in one convenient post, by garudoh as part of his [The Music of Video Games] posts on YouTube. Enough talk, let’s funk it up! Hope you enjoyed it! Feel free to leave comments. It would be awesome to talk about the game! 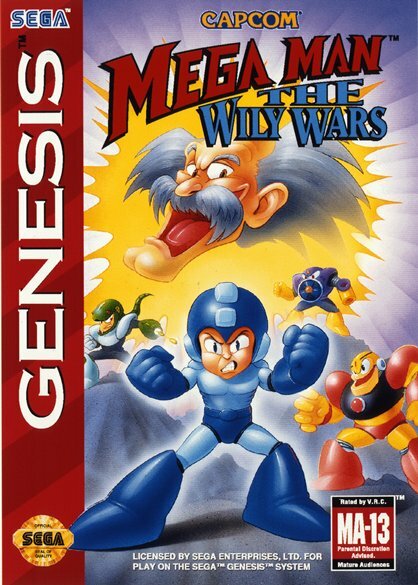 With the popular success of Mega Man series on the Nintendo Entertainment System, Capcom decided to branch out and release Mega Man for Sega Genesis, a company and console that Capcom rarely worked with. Capcom was looking to absorb more of the market and since they had very good success releasing Street Fighter II: Champion Edition (mainly due to the fact that the giant cartridge released for Genesis had enough room to put the four boss characters into the game… a subject to be explored later), they decided they could resell to a whole new group of gamers. There’s a lot of unconfirmed rumors and speculation surrounding Michael Jackson and Sega in general- mostly the theory that he wrote the music for Sonic the Hedgehog 3. If you read Mr. Horowitz’s full article, it will talk about that in great detail. I don’t want to steal his thunder. It’s an excellent read. Trust me. Sega’s sound chips were built for his music.